Our popular Bundles for Babies class is designed to teach soon to be and new parents basic parenting skills, as well as financial skills to help them budget for their new baby – from birth to college. 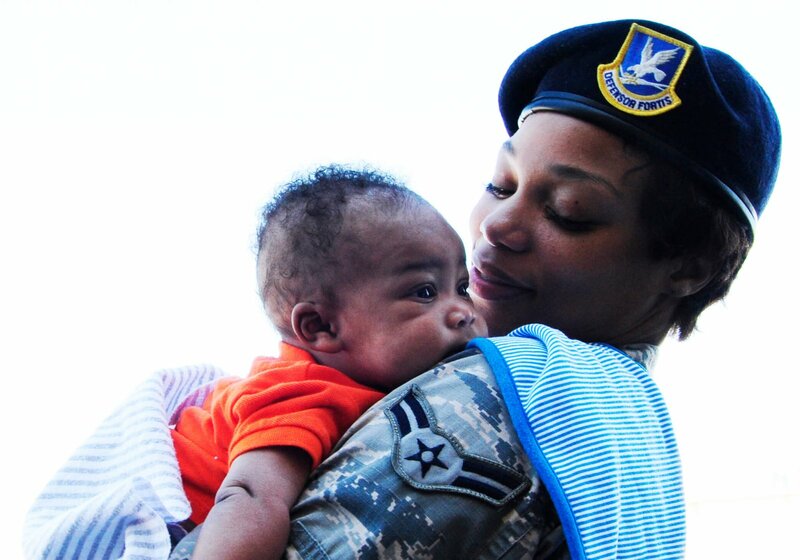 AFAS understands the challenges that come with active duty military Air Force life, from deployments to PCS orders, and offers targeted community programs such as the Bundles For Babies class to help make everyday life on base a little easier. The Bundle For Babies class is free for expectant parents to explore all areas of child care and expenses related to having a newborn. After completing the Bundles for Babies class, parents will achieve parenting skills, receive a baby needs list and receive a free gift card from AFAS to help purchase some newborn baby items such as onesies, sleepers, crib sheets and other newborn essential items. Active-duty Air Force and DOD civilian personnel and spouses who are awaiting the birth of a child are eligible for the Bundles For Babies Class. This class is open to all ranks of service and is not limited to a first pregnancy. The Bundles for Babies Class covers topics such as financial management for parenting, newborn dental care, and even the essential baby gadgets you’ll need before bringing a baby home. in addition to knowledge of infant healthcare.The class can also provide counseling resources for parents of newborns. Contact your Airman & Family Readiness Center to find out if the Bundles For Babies Class or other AFAS Community Programs related to child care is offered at your base. The specific AFAS supported community programs such as the Bundles for Babies Class offered varies between AFB installations. Visit your Airman & Family Readiness Center to discover which of these programs may be available to your family or check out or Community Programs for other child care programs available through AFAS.